The difficulty comes from the single rhythm-game related trophy that requires getting S rank on PRO difficulty. 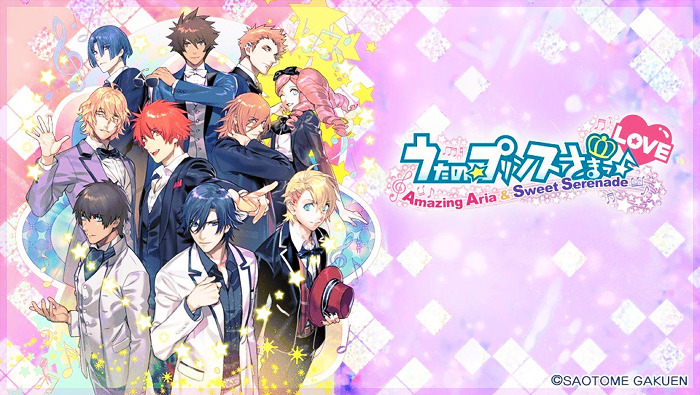 Google "uta no prince sama music pro" to see what it's like. If that's not your thing, skip this game. Save settings with , then left option. 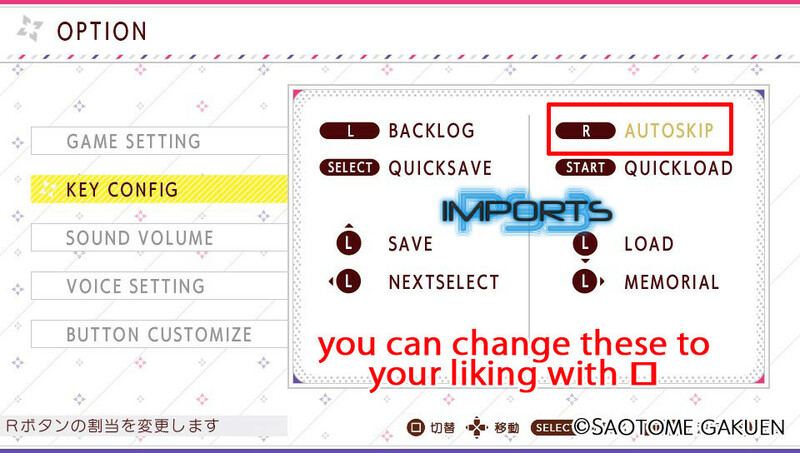 - All menus and character names are in English. - Getting even a pixel's worth of the pink 5th bar is enough to land S rank. 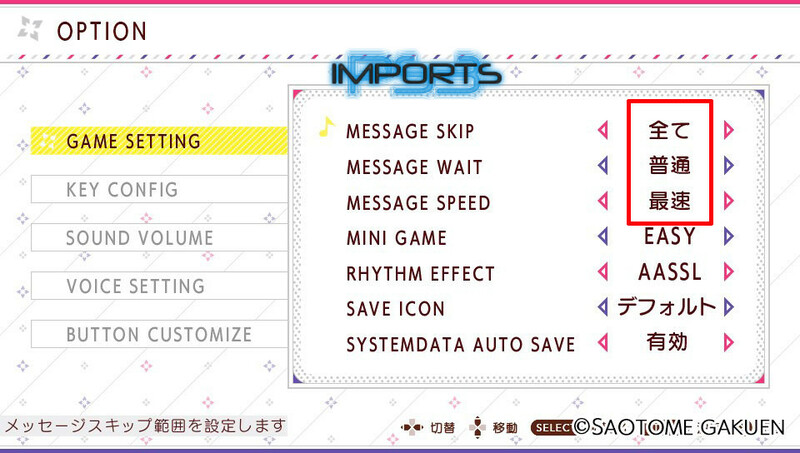 - When I say "Skip", this means you can skip the rhythm game and keep your last rank. I've listed the rank you should have. If for any reason it doesn't match, play the game to get that rank. - For Great Love ending, it's fine to get A rank on one song, but no more than that. I only tested this on one route so I'm not 100% certain. 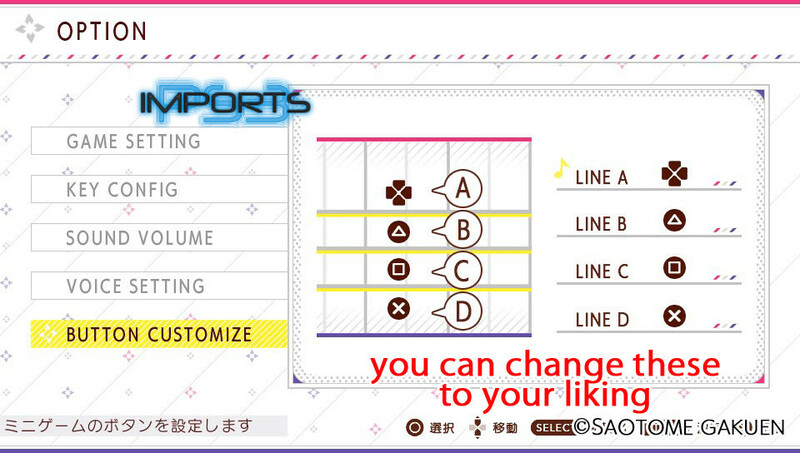 Select rhythm game difficulty. Has no bearing on story so choose at will. Change it anytime from menu. MINIGAME: Press to begin. Get S Rank. Afterward, first option replays the song, second option advances game. After the Chapter Result screen, exit back to Title Screen. On Title Screen, select Colorful Story. We'll go through each story here. !! I don't know if A rank is also acceptable. If you don't see the Epilogue (required to get the trophies), replay the story from the start and get S rank. Back out and select Graphic. Back out and select Memorial. Fixed, thanks! Yeah Pro is way too tough for me, but I think it's doable with practice/learning the notes. Best of luck! Hi Tusman! Nice to hear something from you (finally ). Hah, I was thinking about exactly same thing! Oh well, will check as soon as I will complete the routes. I got trophy #23 (Complete all stories) and started SPECIAL COOL as per guide. I did 3-3-S-3-3-S and.... no trophy? Ok, started SPECIAL HAPPY 3-3-S-3-3-S and... again, no trophy 25! I started SPECIAL COOL again: 3-3-triangle-3-3-triangle. Started SPECIAL COOL and this time did 1-1-triangle-1-1-triangle. Trophy 24 popped right after THANK YOU FOR PLAYING screen. Same with SPECIAL HAPPY: 1-1-triangle-1-1-triangle. (triangle, since I had S rank already). Trophies 26 and 27 popped according to the guide. No problems with 28 and 29. (see you in one month ). Ok, just to confirm: AA PRO song is always the same, despite the character chosen. I also had to replay HAPPY/COOL to get the trophies, but that's because I thought I picked the wrong choices (I first played with Choro's choices, then got the trophies with Maister's choices). No idea what the issue there was Maybe it always requires a replay? As long as the trophies eventually pop I guess. Got it! But not alone . and me and as lines 3 and 4. After a "few" tries and couple of nasty words against this "stupid piece of plastic, how you can even play this s**t?!" (he's just a casual gamer, usually playing on his phone ) we managed! Thanks for the guide and tips!